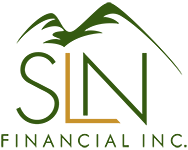 January 13, 2016 - 4 Insurance Tips for New Parents | SLN Financial, Inc.
For many people, having a new baby triggers the thought: I really ought to get some life insurance. One estimate put the lifetime cost of raising a child to age 18 at over $300,000 for a middle-income couple – not including the cost of higher education.1 Is your family ready for that burden if a parent dies? Life insurance can help you protect your young family from the financial aftermath of an unexpected death. If you’re considering buying a life insurance policy or expanding your current coverage, there are a few things you should consider. Do we want to pay off the mortgage? Take time off from work to grieve? Pay for private school or lessons? Once you understand the costs that you would like life insurance to cover, you should also think about how your family’s income will increase over time with raises and promotions. Consider your lifetime earning potential and how the absence of that income will affect your family. A professional can help you run the calculations needed to determine how much coverage you should buy. Since the premium you will pay on an insurance policy depends on factors like your age and health status, you’ll pay less when you’re young and healthy. Delaying could end up costing you more as premiums increase – not to mention the risk of leaving your family unprotected. How would we cover childcare? Who would provide transportation for the child? Who would handle the housework? Would the surviving parent have to take time off of work? Life insurance is a valuable tool to protect your family from the unexpected. It’s also a critical part of an overall financial strategy. Working with a qualified insurance expert who understands your overall financial situation can help ensure that you are getting the right insurance for your personal needs.